What is Natural Cosmetics? Let’s Sort It Out! USD 25.1 billion by 2025. Growing demand for organic and natural hair care, skin care, and cosmetic products is expected to augment market growth over the projected period. And this market has doubled In the last ten years! It is a proof of the increasing significance of the natural and organic cosmetics market. A lot more people recently are interested and use this beauty segment. What is natural cosmetics? How is this market measured? What are the definitions and requirements? Is it a segment that the governmental institutions regulate and how? Last, but not least: Do we buy natural or “fake” cosmetics? How to recognize them? I know that it is a bit complicated for you to listen and read about all these companies, products and labels that claim the be “natural, “organic,” “bio,” “GMO-free,” etc. I decided the clarify all these concepts in a way that you are no longer confused and will be able the make the right choice when it comes to natural products. Case study. Is it really “natural”? Before we dig into some theory, Let’s start with two real examples. When reading them, you will quickly get the point! Case study #1 Synthetic is not natural! 1. I made a quick and random search on the internet on natural cosmetics. The first website that I opened, offered me a natural product, which had a component with this complicated name: “Palmitoyl oligopeptide-palmitoyl tetrapeptide-3“. It is very likely that this substance is synthetically created in the lab! Which is just the opposite the natural! Case study #2 You might be harmed! I checked another cosmetic product, which pretended to be “bio.” After a quick scan, I saw a few ingredients, I was unaware. One of them was Methylisothiazolinone. In just 10 minutes search, I had my second Ups! It appeared that not only this substance is synthetic, but it is allergenic and cytotoxic! There are many useful cosmetic products on the market that are contributing your beauty and health, but they are not (entirely) natural! They delude the customers if they claim the opposite! There are many products under “natural” tag, but not only this is untrue. They contain components, which are reported the have undesired side effects! Well, you see it could be a real mess on the market. What the governmental institutions have to say on this topic? What is the official definition of “natural cosmetics”? The short answer is there is no such definition! The regulation on this sector is still missing, or it is vague. Each cosmetic product, produced in EU falls under that regulation. The seller must submit safety assessment report provided the demonstrate compliance with the official European safety standards. The seller must submit all necessary product documentation via the Cosmetic Products Notification Portal (CPNP), including if the product is tested on animals. The European cosmetic regulation sets a high level of transparency for end products, prevents the placing on the market of hazardous substances, and strengthen safety for consumers. What does this mean for you? If you buy a cosmetic product made in EU, typically it says the product has a safety report, it is in the official registers, irrespective if it is designated as natural on the label, or not. LISTEN to this short opinion on EU and U.S. regulators. It will give you additional food for thought. Another famous mark within the healthy trend is the “organic” tag. Here we have more precise directions. The institution the help us clarify this term is United States Department of Agriculture (USDA). The officials there have developed so-called National Organic Program (NOP). If the product contains less than 70% organic ingredients – the seller may identify the specific components that are USDA-certified as being organically produced on the ingredients statement on the information panel. The products that comply with the requirements have the right the stamp the “USDA Organic” mark on the label. More details about definitions you can find here. “Bio” and “Eco” labels have a similar meaning to the “organic” content, and It suggests farming methods where no toxic chemicals (fertilizers, pesticides) are used, and there are no GMO products. “Bio,” “Eco” and “GMO” labels are not officially regulated, and like “natural” tag, they leave room for misinterpretations or dishonest trade practices. OK, now we are in line with the terminology. There are a lot of independent organizations, which offer standards and certificates, with regard the natural cosmetic products. The producer or seller pays a fee to certify his products and use a stamp of approval. This is one more trust source for the customers. Of course, this does not mean that a product without a stamp is fake! I have seen many amazing products from not so fancy brands, which do miracles for my body, but are entirely unknown and have no stamps at all! In my opinion, industry standards are something useful and good for the customers. But at the same time, you should not forget they are also marketing instruments in the hands of the producers. If you pay attention only to stamps, when you chose which products to use, you may leave out of sight not so well marketed, but fantastic natural products! I would like to point out one more aspect of the private standards. There stamps, which are comparatively easy and cheap to achieve, and are not so rigorous as requirements. it is not the stamp that will make you pure and healthy, but the product itself. 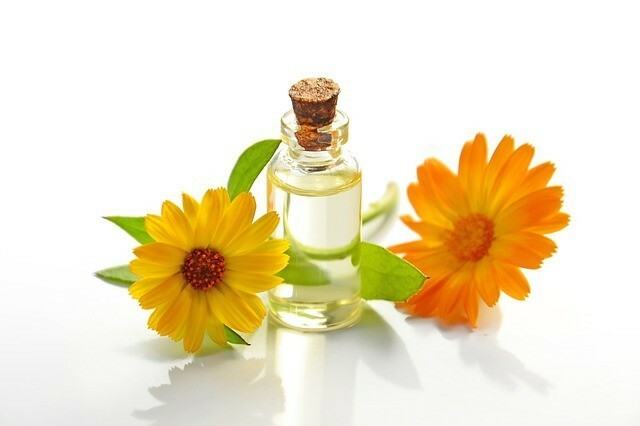 In order the be a savvy customer and not the miss the “golden nugget,” when you find it, you have to add one more aspect, when you try to find out what is natural cosmetics. Read and understand the label. Trust your intuition! 1. First and most crucial step: Read the ingredients on the label! If it contains predominantly essential oils, butter, extracts from plants, etc., then it is very probable that you’ve spotted a natural product. If you notice a component which as unknown to you, find some info about it, just as we did at our experiment. You will spend a few minutes, but the research will clarify whether it is a natural component. Don’t be excessive. Even if this ingredient is not natural, find out what is its function. If you like the formula overall and this component is not among the main ones but has an excellent contribution, don’t hesitate the try the product. 5. Search if the product is sold on marketplaces, like Amazon. If yes, you may find some reviews of customers who have already bought the product. 6. And finally: If you have a good overall feeling about the product from the research you have done, give it a try! You will spend a few dollars, but only if you test the product, you will be able the say whether it fits you, or not. 1. What is natural cosmetics? 2. What do all these “green” terms mean? 3. How to recognize whether a cosmetic product is natural indeed? There is a lot of “fake” stuff on the market recently, as more and more sellers are trying the attract customers, playing with that “natural” element. I would love to hear from you! What is your experience with finding good natural cosmetics? Write a comment below, and I will answer you! Wish you great “natural” moments! I use ONLY natural cosmetics. My skin is clean and radiates without all the chemicals that other products contain. I am 40 years old and after all these years and all these products, I am finally sure that natural cosmetics is the right choice for me! Do you think that the best way to be sure that some product is “natural” is to make it by myself at home? but at the same time, it is more complicated. A common mistake people often do is to think when they make something at home, it is more “natural” than a purchased product on the market. Though this is very often true, it is not always the case. It all depends on the ingredients, used on a specific product. Imagine a situation – you want to prepare a skin care mask at home, but you buy low quality or fake essential oil. Is this “natural” product? And imagine if you’ve made your research well and you’ve bought a high-quality certified natural mask! I hope you get my point! We have to use products with natural ingredients, irrespective if it is made at home, or purchased from the market. Hope this helps to clarify that matter! Thanks for this educational post. I agree, the FDA in the US is lax and stuff is grossly misrepresented in the directions of being natural or organic or otherwise “pure” or good…when often, it is not. I have long considered just buying products from the EU instead, and paying the extra shipping, just to have peace of mind! Thank you for this comment! Agree with you. Sometimes it’s better to pay more to assure we get the best possible solution. At least to my experience, usually, when I have tried to “cheat” myself and get a cheaper product, irrespective what it is, I end up being sorry for my decision. The old saying is very often true that cheap things turn out to be more expensive. This is especially true for cosmetics! Eventually, it is about our skin and hair, and we typically want to give the full treatment possible. Thanks for stopping by and wish you good luck! Thanks for the information, it is beneficial. Of course, finding good cosmetics is difficult and needs some time and research. And not all products that claim to be NATURAL are natural. I always read the label and follow most of the rules You`ve mentioned. Another important thing is to trust my feelings and perceptions and to see how a specific product is “working” on my skin. so many information and we have to filter it successfully. I will be glad if I’ve helped you find your way to do it. You can read more advice about natural skin and hair care.